I'm like nothing and like nobody, and nothing or nobody can change me. "And now the window opens, it gently, gently opens, and night steals softly in. Your eyelids now are heavy, your arms are numb and heavy, your legs are dull and heavy, and you give yourself to sleep, a deep sleep..."
The dulcet voice of French actor Yves Montand rouses us from an entrancing journey through time and space, a voyage into memory and past lives, quickly casting a spell on yet another willing volunteer as we awake in a lecture hall. 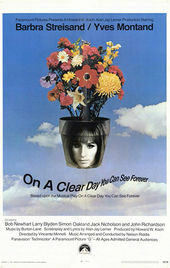 The mesmerizing opening of On a Clear Day You Can See Forever is a high point of this mostly forgettable 1970 musical. Starring Barbra Streisand and directed by Vincente Minnelli, the lavish song and dance production was made at a time when such films were largely on the outs with audiences. The film's main titles are an equally sumptuous affair, a grand, hypnotic trip clearly riffing on the psychedelic “Star Gate” sequence from Stanley Kubrick’s 2001: A Space Odyssey (released two years prior). Created by prolific film and television title designer Wayne Fitzgerald and the team at Universal Title, the On a Clear Day title sequence is basic in its design but spectacular in execution – a stunning coordination of music and imagery that must have been completely overwhelming for cinemagoers of the time. Even on the small screen the sequence remains spellbinding to this day. The credits type, anchored to the event horizon, travels with the camera through a seemingly infinite spectrum of concentric rectangles. Then, as the voices of a dreamy choir surge, the film’s title is ushered into being one word at a time, “FOREVER” fading into itself. The sequence was designed to give viewers the “illusion of moving through space," according to Fitzgerald. The impressive effect was achieved by filming a series of brightly coloured rectangular screens in succession. 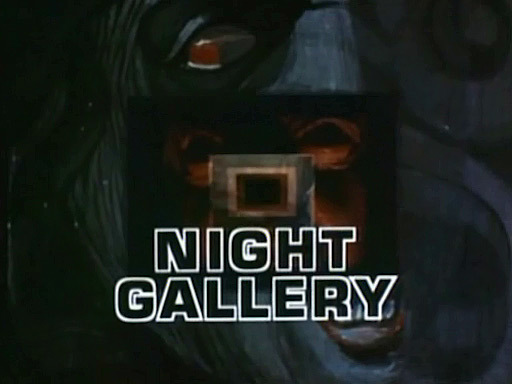 Fitzgerald would later use a similar technique for another sequence, the eerie opening of Rod Serling’s cult anthology series Night Gallery. Ultimately – and like most of the film's co-stars – On a Clear Day’s spectacular main titles play second fiddle to Babs. Streisand opens the movie minutes earlier with a musical number in which she serenades a garden full of tulips, geraniums, roses, and daffodils growing in time-lapse. The cold open does nothing to diminish the impact of Fitzgerald’s titles, which remain a powerful and sweeping intro to this tale of reincarnation and romance. However, it’s abundantly clear from the numerous hair and costuming credits in the sequence that the real star of the show is, as always, Miss Streisand.